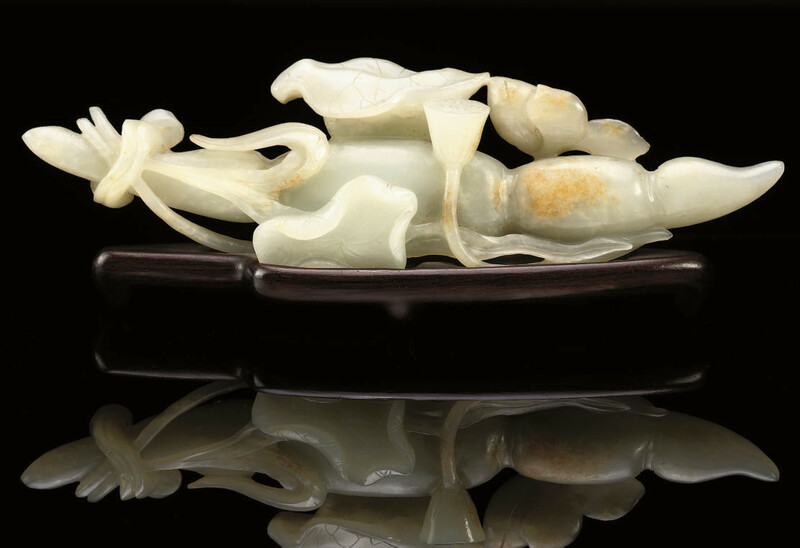 carved as a four lobed gourd fruit tied to one end with a flowering and leafy lotus spray -- 6 5/8in. (16.8cm.) wide, wood stand.